Full disclosure: Unless you’re a field mouse, you can’t literally get lost in this labyrinth. It’s not the kind of labyrinth with tall hedges that form a maze. 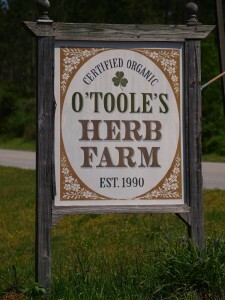 It’s the contemplative, meditation-style variety, where you walk along a narrow path, nearing the center of the maze. For one, it’s gorgeous. 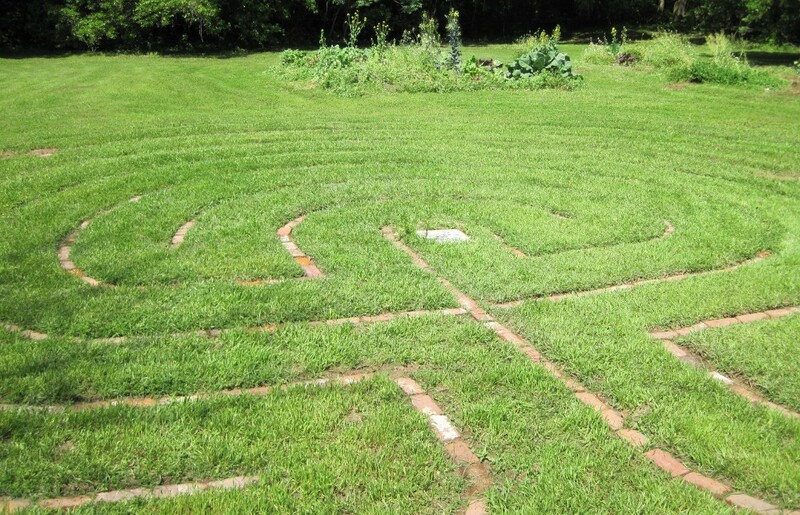 Set amid the fields of O’Toole’s Herb Farm in Madison, the labyrinth is just one of the lures that draw visitors to this peaceful, lush corner of Madison County. Another reason to walk the labyrinth is as a meditation. 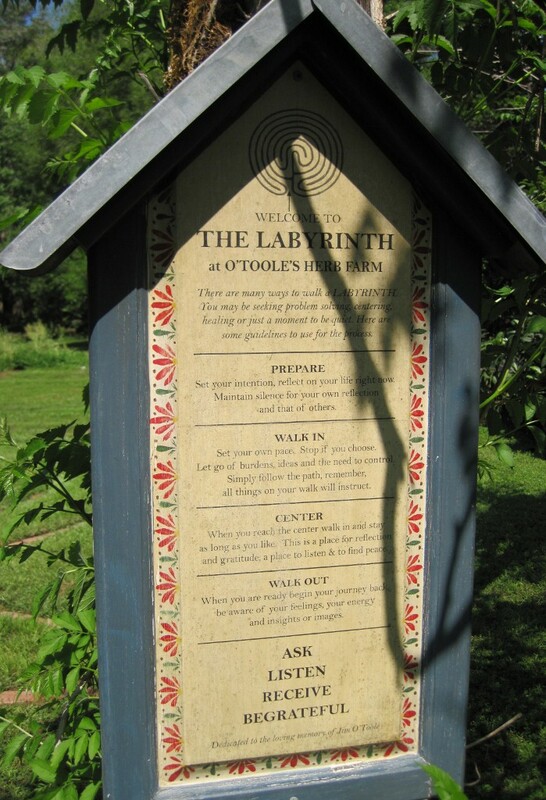 A sign at the entrance tells you all you need to know: If you’re grappling with a problem, needing to center yourself or are seeking healing, the labyrinth is one way to a solution. First, you prepare your mind. Then you begin to walk, letting go of “burdens, ideas and the need to control,” according to the sign. When you reach the center, listen, reflect and find peace. Stay as long as you like, then on your way out, pay attention to your feelings, energy, insights and images. Instructions tell visitors how to navigate the labyrinth. 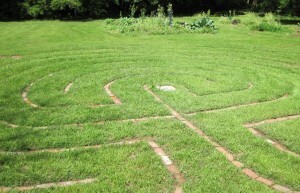 Visitors are welcome to walk the labyrinth any time the gate to the farm is open. 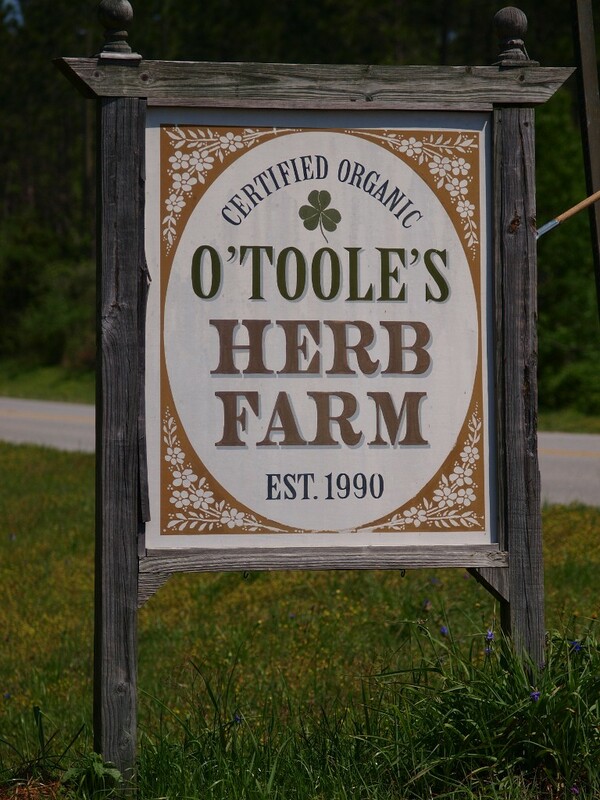 It’s located behind the gift shop, which I also recommend for its wonderful line of natural products, pots and gardening items.